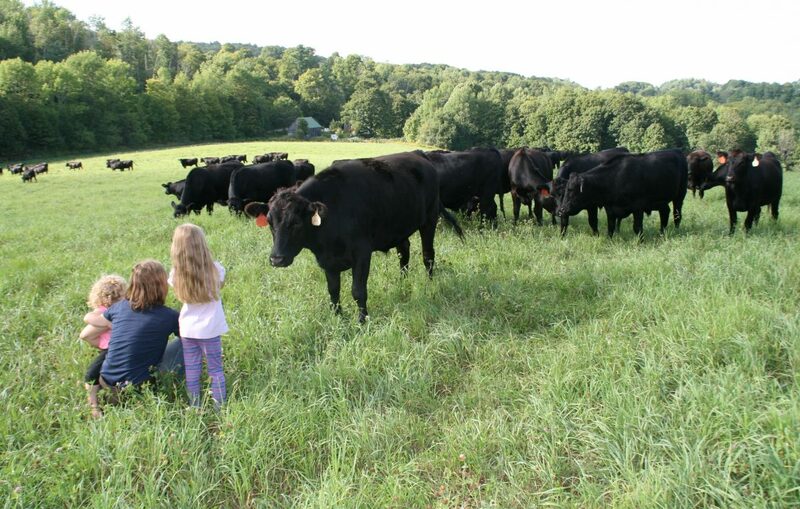 Almanack Farm raises pasture-finished, grassfed beef. All of our animals live on our hill pastures and we practice rotational grazing, where animals are moved frequently to new forage. Good pasture management results in healthy animals, healthy land, and flavorful, high-quality meat. And because we regularly handle our cattle, our herd management is low-stress and our herd docile and content. Find our beef in 2018 at Worthy Group restaurants in South Royalton, Waitsfield, and Woodstock; Twin Farms in Barnard; the South Royalton Market; and Brownsville Butcher & Pantry.